The following is a 4-star review for my book The Goat Parva Murders on Goodreads. 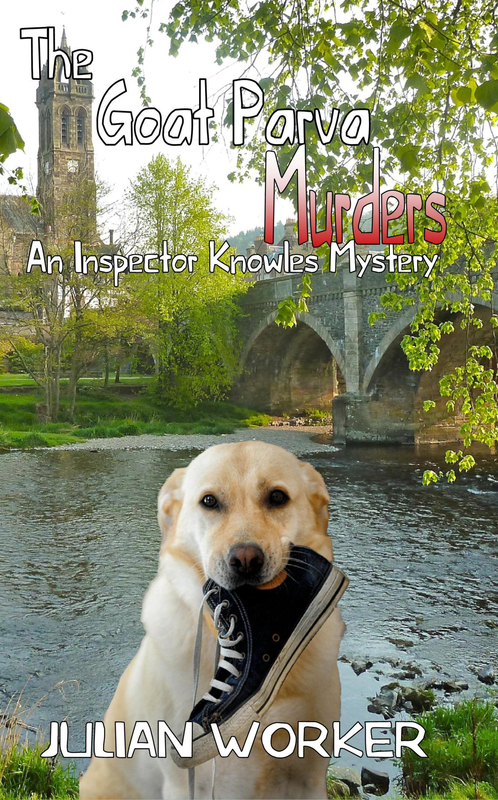 Detectives Knowles and Barnes feature in this quirky story which is very much a tongue in cheek murder mystery. This is really quite refreshing. The sleepy village of Goat Parva has its secrets but they don’t seem to be very well kept. The character of Adelaide with her interfering god, Bingo, is such an eccentric person, you cannot but help laugh. The surrounding woods (and indeed bushes) hold many surprises and secrets. These become apparent as the story unfolds. I wasn’t finding it easy to follow what the police were thinking and doing, but I did enjoy this book. It was a refreshing change.